Health care in our country is changing—and the Cloud is quickly becoming an essential game-changer, especially when it comes to compliance with HIPAA (Health Insurance Portability and Accountability Act) guidelines. HIPAA requires that businesses and health care providers protect patients’ confidential information. HIPPA regulations include technical, physical, and administrative security requirements that health care organizations must comply with to reduce the risk of losing patient information. To protect patient data and follow HIPAA guidelines, organizations like the Colorado Business Group on Health (CBGH) are using services offered by cloud providers to protect data. Outsourcing this highly important job to cloud providers ensures ongoing support and data management so that the organization meets HIPAA requirements. 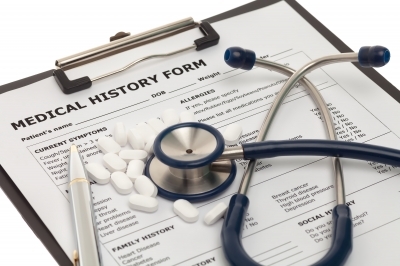 Cloud service providers also must comply with HIPAA and provide documentation during audits. The partnership between health care organizations and cloud providers is beneficial not only because it ensures that both are in compliance at all times with HIPPA; the collaboration also saves health care organizations from having to utilize their own IT departments to manage patient data. How did the Cloud come to play such an important role in health care? In retrospect, one sees that the changes accompanied industry revamping of health care. The rising cost of insurance prompted consumers to analyze health care plans and to make changes based on what’s best for their individual needs. On the other side of the coin, insurance providers worked to give businesses the best insurance deals to offer employees. This is where organizations like the nonprofit Colorado Business Group on Health (CBGH) stepped in and changed how the health care game is played. CBGH, which represents major purchasers of health care services, looked to accelerate cost-effective, high-quality health care by changing the health care purchaser role. They began by looking at payment models. CBGH and other organizations like them took an innovative approach to transforming health care payment models: the payment designs are driven by patient health. To offer fair provider compensation and rewards excellence by allowing top-performing physicians to earn more. To provide powerful incentives for doctors to deliver greater service to patients. To encourage teamwork among caregivers and to foster accountability for patient health. To offer a realistic framework for creating an integrated and accountable health care payment system. The new payment model wouldn’t be possible without big data. The program uses big data to link businesses with physicians and health care providers that meet high standards of patient outcomes. The program is supposed to result in two primary advantages: businesses will pay less in group insurance costs, and health care providers will receive incentives from businesses to continue providing quality care. Time will tell if the new payment design model achieves these important goals.